The shortlist judging for the above, entries for which we sought in December, will take place on the afternoon of Monday 2nd February from 2pm to 7pm in St Bride, St London. Attendance is free, and offers an unparalleled opportunity to listen to the pitches of what are considered the twelve best SME mobile health apps in the UK. Details are here – do be sure to scroll down to click the ‘book now’ button as places are limited. The judges (disclosure: of whom this editor is one) will select those SMEs to go forward to the finals at the MWC in Barcelona in the first week in March. Things happen ever faster on the second half of the chessboard. No sooner had the ink dried on our predictions for 2015, and Dr Eric Topol told the story of the first patient to call him with a smartphone diagnosis than Alivecor announced that they now have CE certification for their AF-diagnosing app. Here is a tech-savvy person lamenting (ranting?) in Venture Beat that there’s no one place to put all of his health data that he needs–weight, PHR (personal health record), his spin class and aerobic training data. AppleHealth/Apple HealthKit? Only the weight via a Withings scale maps to it, and you have to scroll past oodles of data categories, such as your molybdenum levels, to get to more vital things like weight and heart rate. FitBit lasted three months in his life before being tossed in a drawer. What took center stage at International CES were more devices dumping more data that doesn’t map into a central database. He acidly notes that Apple HealthKit is free because it is is worthless. Is there something broken here that we in telehealth need to deal with, quickly? My health data is killing me (figuratively) Hat tip to Tom Greene posting in The King’s Fund LinkedIn group Digital Health and Care Congress, this year 16-17 June. A reminder–call for papers closes 13 Feb! The Parkinson’s Voice Initiative headed by the UK’s Max Little, currently a visiting professor at MIT, is moving forward having collected voice samples from 17,000 volunteers. He is seeking to develop a non-invasive, quick, accurate test for Parkinson’s through analyzing the patient’s voice patterns. Mr Little is adding to this the Michael J. Fox Foundation challenge in analyzing movement data captured through smartphones. Originally profiled in November and December 2013. Fast Company: Co.Exist (which also has his 2012 TED talk). Hat tip to Ashley Gold in today’s Morning eHealth (POLITICO)’s ‘What We’re Clicking’. Is how we are treating patients for chronic diseases (and pre-diseases) all wrong? A look again at minimally disruptive healthcare. In June 2013 we wrote about a contrarian approach to treating chronic disease–and now the ‘pre-diseases’ which have been discovered, like Columbus with America, with all good and proactive intentions for the patient. There’s increasing pressure, and rigidity in applying, guidelines and quality standards which are both performance and financially based. Measure, measure, measure!! Prescribe, prescribe, prescribe!! Is your patient at goal? Yet we are losing the Battle of Real Results and improved health. Telehealth and telemedicine are being touted as ways to increase compliance, but do they complicate matters and add to–not reduce–the burden? We return to the originator of this minimally disruptive approach to care, Victor Montori MD, an endocrinologist at Mayo Clinic, via a MedCityNews article by cardiologist John Mandrola MD and this video from a primary care conference, the NAPCRG annual meeting in New York. (At 45 minutes, you’ll want to save it for later). [grow_thumb image=”http://telecareaware.com/wp-content/uploads/2015/01/QTUG.jpg” thumb_width=”150″ /]TRIL Centre (Dublin, Ireland) spinoff Kinesis, which developed the wearable sensor-based QTUG system for assessing fall risk through measuring gait and balance, was part of a recently presented study of relapsing remitting multiple sclerosis (MS) patients presented at the IEEE International Conference. The QTUG test was used in assessing patient mobility and fall risk over time. The base test, Timed Up and Go (TUG), is manually performed with a timer and observer; the patient rises from a chair, walks three meters, turns around, walks back and then sits back down again. Using this test, the Kinesis sensors reliably assessed the state of patient MS in 21 patients, using 32 of the 52 sensor parameters. In October, according to Mobihealthnews, Kinesis inked a deal with Intel-GE Care Innovations to distribute the system in the US; Intel and GE also are major funders of TRIL. IEEE Xplore abstract (full access on paid site). About two months ago [TTA 13 Nov 14], we noted Xerox’s interesting investment in telehealth/virtual consult kiosk HealthSpot Station. We thought at that time that Xerox was not active in healthcare services and thus found the HealthSpot Station investment unusual. Right on the diagnostics, wrong on the data crunching. Notably, their Midas+ subsidiary concentrates on healthcare quality management, analytics and benchmarking solutions. 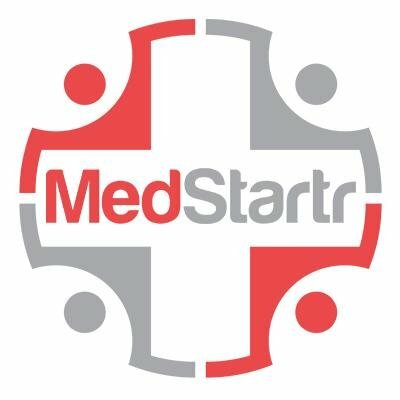 Midas+ has entered into the readmissions fray by combining its proprietary database, compiled over 1,900 Xerox hospital clients, with five years of Medicare and claims data to help hospitals better predict 30-day same-cause readmissions. The Midas+ Readmission Penalty Forecaster uses the data to project in “near real-time” both patient patterns and reimbursement rates. Commenting to MedCityNews, Justin Lanning, SVP and managing director of Xerox Healthcare Provider Solutions, said the Forecaster has a 1.5 percent margin of error within the predictive model, with quarterly updates provided to participating hospitals. Midas+ also offers, beyond the model, onsite consulting. HealthSpot Station theoretically could throw off a lot of data on outpatient disease and treatment. Midas+ Forecaster white paper, eWeek. We also note that MedCityNews, one of the livelier publications that covers a wide swath of the US healthcare scene, is being acquired by Breaking Media, a New York City-based digital publisher. CEO Chris Seper will remain with the publication. Article. ‘We call you’ services are those where people have to respond to a daily phone call. This may be from an automated system or even from a person, as still happens in some small communities. The idea is that the call provides reassurance. However, some industry observers are concerned that such systems have inherent problems. These lie not in the technology, but in the frequency of response failures. The discontinuation of the ReAssure24 service in the UK appears to bear out this concern. Can the NHS be in crisis when they want to waste money like this? Telehealth & Telecare Aware believes that this is totally the wrong approach. Given the huge increases in the popularity of remote consultation as we covered in our review of our 2014 predictions, surely the right focus for additional funding is to provide substantial incentives to get GPs using existing technology to consult with patients remotely? This should be allied with an advertising campaign to point out the benefits to patients of not having to visit a surgery or exchange germs with others in the waiting room plus offer reassurance that face to face appointments will always be available if the doctor thinks one is necessary. One way to start might be for the NHS to do deals with organisations like GP Access to offer technology like their askmygp to all GP surgeries for free and give large financial incentives to GPs conducting remote consultations with more than an agreed percentage of the patients on their books by year end…then raise that percentage every year for the next four years. That has got to be far cheaper than building works that will anyway become redundant soon because attitudes are changing and people will be preferring remote consultation shortly anyway! It would be much quicker to implement too. In mitigation, the article also mentions that surgeries, apparently also “will also be expected to make much better use of technology to monitor patients’ health as a way of reducing their need to seek direct care from a doctor.” However that sounds more like a tepid endorsement of telehealth than encouragement to be radical. 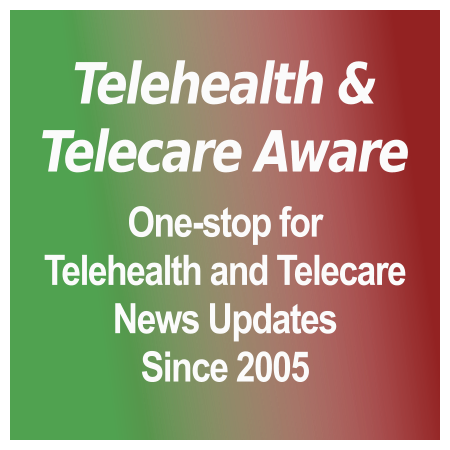 [grow_thumb image=”http://telecareaware.com/wp-content/uploads/2015/01/10.jpg” thumb_width=”250″ /]You may have noticed from our header above that it is the 10th year of Telehealth & Telecare Aware’s service to the industry. To mark our anniversary, we intend to invite leaders in the field to reflect on the past ten years and (if they dare!) to speculate on the next ten. But first we would like you, dear Reader, to become involved in the process. Think for a moment…exactly who would you like to hear from? Whose views do you think best represent the last decade of changes taking place in healthcare and technology, improving (we hope!) care delivery, personal safety and well being? Please post nominations as a comment or email Editor Donna. [grow_thumb image=”http://telecareaware.com/wp-content/uploads/2015/01/MALCOM-Middle-logo.jpg” thumb_width=”250″ /]If you are interested in the outcomes of SEHTA and Pôle-Tes‘ MALCOLM project, they are now published on the SEHTA website. The Anglo-Franco project analyzed remote care via ICT (information and communications technology) delivery (eHealth) and needs in the coastal Channel area: Hampshire, Surrey, West Sussex, East Sussex and Kent in England, and Lower Normandy in France. The press release has more details on results, methodology and the funding. NHS seeks pioneering healthcare innovators – yes really! Details of the NHS Innovation Accelerator Programme are here, and the Digital by Default news item, here.